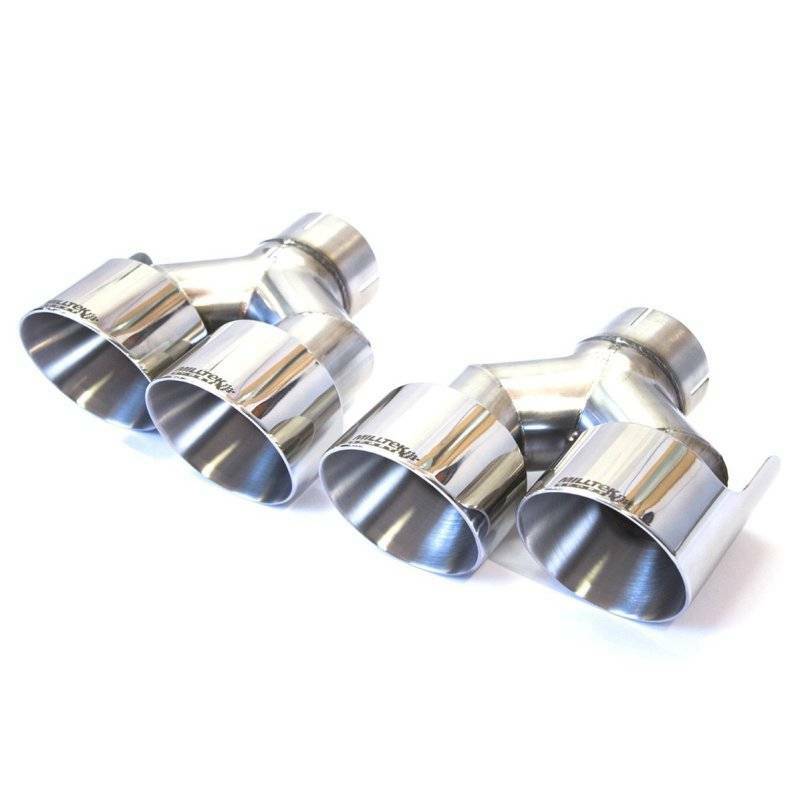 This aggressive cat-back exhaust has complete downpipes and features polished dual 2.4" stainless steel throughout the entire exhaust. 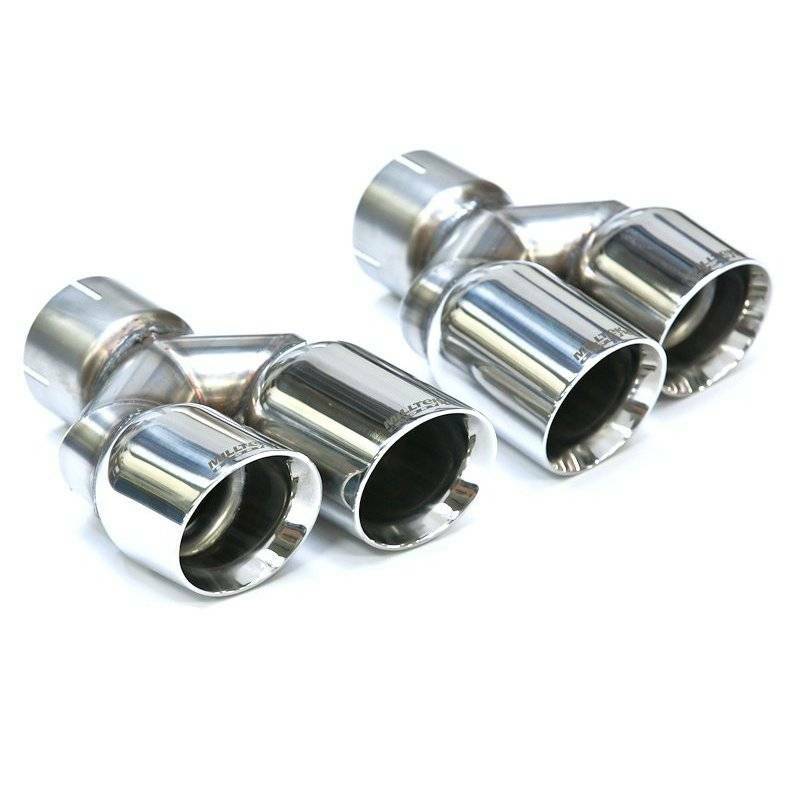 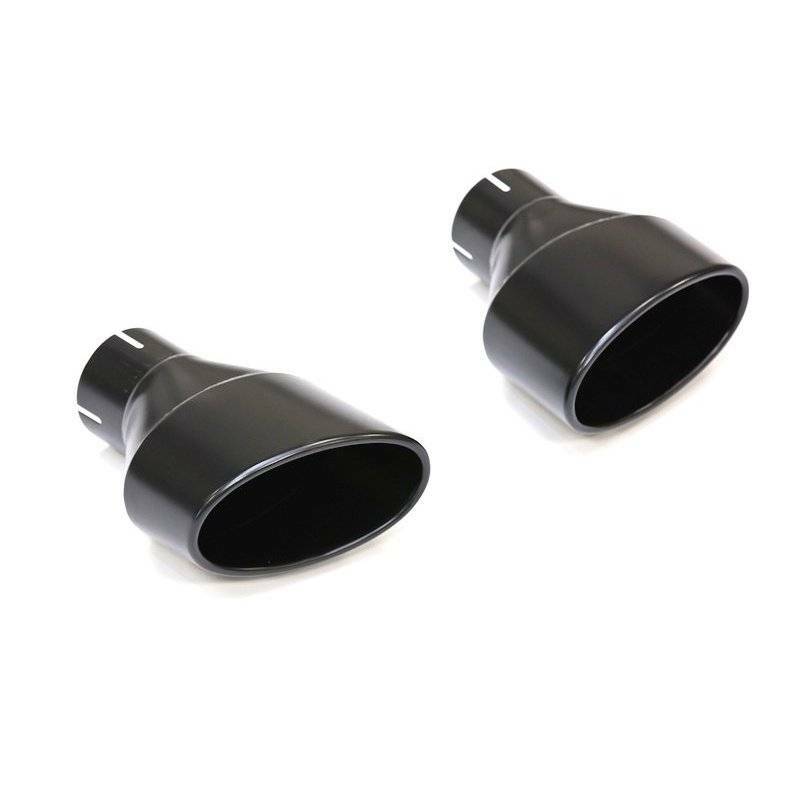 The exhaust finishes with quad exhaust tips or twin oval tips in black or chrome. 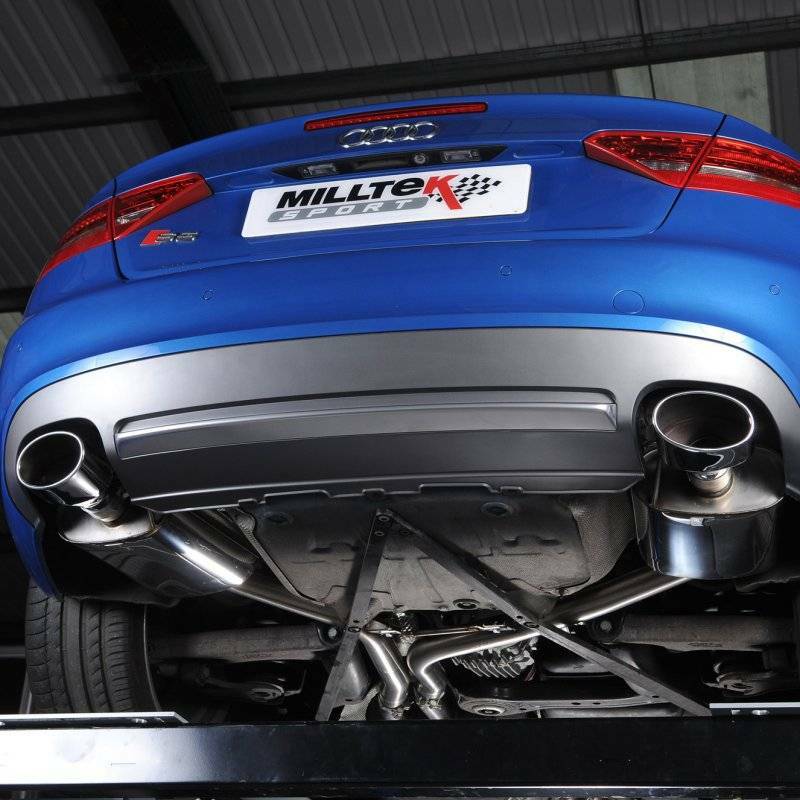 *Note that pre-facelift (B8) models will use 80mm quad tips or oval tips and the post-facelift (B8.5) models will use the 100mm quad tips.